Give some fun flavor to your home without it being too busy with these flower-power design tricks. If you’re incorporating multiple floral patterns in the same room try choose a mix of scales (some large and some small) and colors (some neutral and some bold) that complement each other. To buy: Rifle Paper Co. Floral Vines Ivory Rug, from $100; riflepaperco.com. No matter the season, flowers — whether real or faux — have the ability to revive a boring space or complement one that just needs a finishing touch. However, floral-patterned pieces can often be too bold, so we asked Anna Bond, the Co-Founder and Chief Creative Officer of Rifle Paper Co., how to master the art of using floral patterns at home. If you’re incorporating multiple floral patterns in the same room, choose a range of scales and colors (some neutral and some bold) to add an unexpected, yet complementary touch, says Bond. Here, the floral pillow balances out the large, printed rug. To buy: Rifle Paper Co. Floral Vines Ivory Rug, from $100; riflepaperco.com. 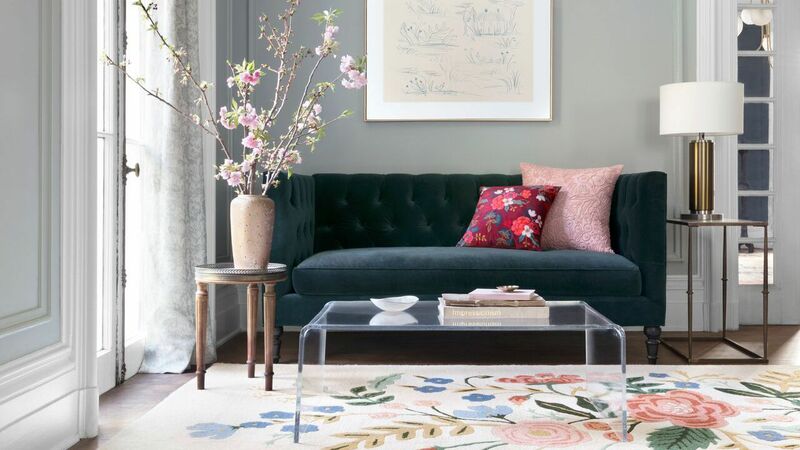 To buy: Tufted Floristry rug, from $88; anthropolgie.com. To buy: Abstract Blossom Brocade pillow, $39; westelm.com. Nervous about incorporating bloom patterns in your home? Ease into it with a small accessory like a throw pillow or art print. It instantly livens up a room without a major commitment (you can swap out these items in a flash for each season to keep your space feeling fresh). To buy: Rifle Paper Co. Juliet Rose Bouquet Art, $24; riflepaperco.com. To buy: Pressed floral frame, $24; urbanoutfitters.com. To buy: Velvet accent pillow; $69; nordstrom.com. 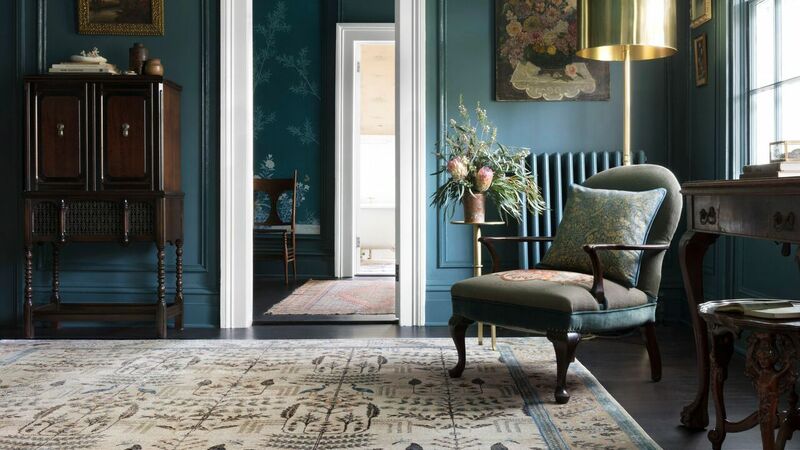 The beauty of wallpaper is that you can choose to use as much or as little that you'd like. Cover an entire wall with a subtle pattern or deck out the inside of a bookshelf for just a hint of color. 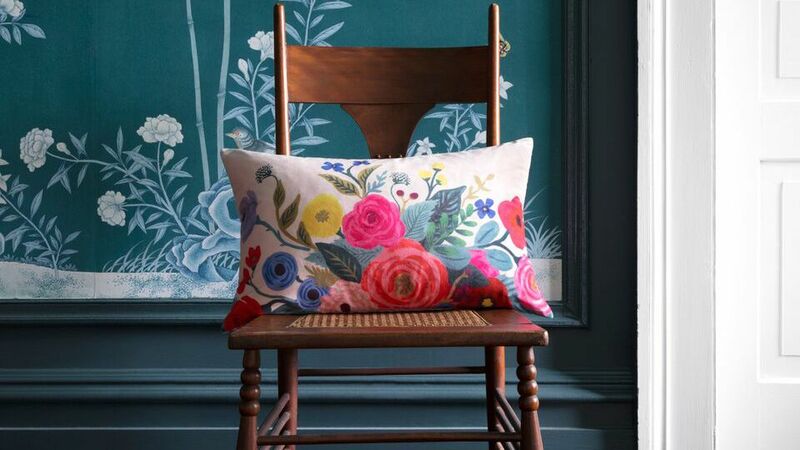 To buy: $190 for 30-sq.-ft. roll; riflepaperco.com. To buy: Anewall Blush floral temporary wallpaper, $389 for 6 panels; potterybarnkids.com. 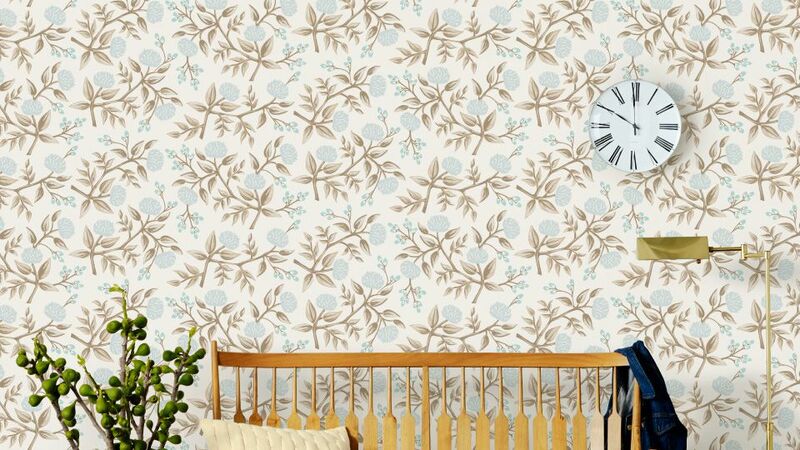 To buy: Tempaper peel and stick wallpaper, $98 for 56-sq.-ft. roll; wayfair.com. Don’t forget about the real deal! Fresh flowers add instant vibrancy and color without any commitment. You don’t have to be a florist to nail down a bouquet: Simply create a large cluster of one type of flower or use simple greenery (like eucalyptus) in a variety of textures. If you don’t have a flower market nearby, grocery flowers do the trick. If you don't have a green thumb, faux flowers will work too. To buy: Fejka faux plant, $40; ikea.com. To buy: Hydrangea with pot, $48; shopterrain.com.